1. The US connection: Columbus Day is celebrated around Sukkot. According to “Columbus Then and Now” (Miles Davidson, 1997, p. 268), Columbus arrived in America on Friday afternoon, October 12, 1492, the 21st day of the Jewish month of Tishrei, the Jewish year 5235, the 7th day of Sukkot, Hosha’na’ Rabbah,a day of universal deliverance and miracles. Hosha’na’ Rabbah is celebrated 26 days following the beginning of the Creation, and 26 is the numerical value of Jehovah (יהוה). Hosha’ (הושע) is the Hebrew word for “deliverance” and Na’ (נא) is the Hebrew word for “please.” The numerical value of Na’ is 51 (נ=50 and א=1), and Hosha’na’ Rabbah is celebrated on the 51st day following Moses’ ascension to Mt. Sinai, which marks the conclusion of the repentance process (of Yom Kippur). 2. Sukkot – the 3rd Jewish pilgrimage, following Passover and Shavou’ot (Pentecost) – is a universal holiday, inviting all peoples to come on a pilgrimage to Jerusalem, as expressed in the reading (Haftarah) of Zechariah 14: 16-19 on the first day of Sukkot: “Then, the survivors from all the nations that have attacked Jerusalem will go up [to Jerusalem] every year to worship the Lord Almighty and to celebrate the Festival of Tabernacles.” According to the Sukkah tractate of the Mishnah (the oral Torah), the 70 sacrificial bulls of Sukkot represent the pilgrimage of 70 nations to Jerusalem; a demonstration of universal solidarity and comity. Sukkot expresses the yearning for universal peace, highlighting the Sukkah of Shalom (peace). Shalom is also one of the names of God. Shalem (שלם) – wholesome and complete in Hebrew – is the ancient name of Jerusalem and of 32 towns (Salem) in the USA. 3. Sukkot has been celebrated for the last 3,300 years, commemorating the Exodus, liberty, the 40 years of wandering in the Sinai Desert, the construction of the Holy Tabernacle, the victories along the way – and the reentry – into the Land of Israel, as well as the reaffirmation of faith in God; thanking God for redemption, the harvest and the ingathering, reality-based optimism and the recognition of human limits (humility). 4. The origin/statute of Sukkot, which is launched on the 15th day of the Jewish month of Tishrei (Leviticus 23: 42-43): “Live in Sukkot (temporary and military dwellings; a ritual hut) for seven days; all Israelites are to live in such dwellings, so your descendants will know that I settled the people of Israel in Sukkot when I brought them out of Egypt. I am the Lord your God.” The first stop of the Exodus was in Sukkota in the Sinai Desert. The meaning of the Hebrew root of Sukkah (סכה) is “wholesomeness” and “totality” (סך), “shelter” (סכך), “to anoint” (סוך), “divine curtain” (מסך) and “attentiveness” (סכת). 5. The four species of Sukkot: “On the first day [of Sukkot], you will take for yourselves a fruit of a beautiful tree, palm branches, twigs of a braided tree and brook willows (Leviticus 23:40).” The 1 citron, 1 palm branch, 3 myrtle branches and 2 willow branches are bonded together, representing the unity through diversity of the Jewish people. They also represent the agricultural regions of the Land of Israel: the Negev and Arava (palm), the slopes of the Golan Heights, Upper Galilee and Mt. Carmel (myrtle), the streams of Judea, Samaria and the Galilee (willow) and the coastal plain (citron). They underline leadership prerequisites: solid backbone (palm branch), genuine humility (willow), compassionate heart (citron) and penetrating eyes (myrtle). 7. The seven days of Sukkot are dedicated to the 7 Ushpizin (distinguished guests – unselfish shepherds): Abraham (kindness) Isaac (courage), Jacob (kindness and courage), Joseph (justice and tenacity), Moses (humility and victory), Aaron (sanctity) and David (courage, wisdom and royalty), who defied immense odds in their faith-driven pursuit of ground- breaking initiatives. The seven days of Sukkot express gratitude to God for blessing the Land of Israel with the 7 species (Deuteronomy 8:8): wheat, barley, grapes, figs, pomegranates, olive oil, and dates. 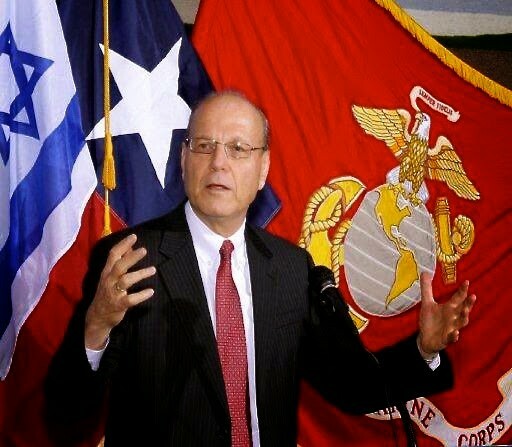 Ambassador ret, Yoram Ettinger will be in the US during the whole month of February, 2016, available for speaking engagements (list of topics: http://bit.ly/1W5CrSr). Questo contenuto è stato inserito il Settembre 28, 2015 ore 1:01 am nelle categorie English, Flash News, Scenari internazionali, Sicurezza, SICUREZZA PARTECIPATA. puoi seguire i commenti tramite RSS 2.0 feed.